I gave you a glimpse of my green bathroom last month for my favorite color. 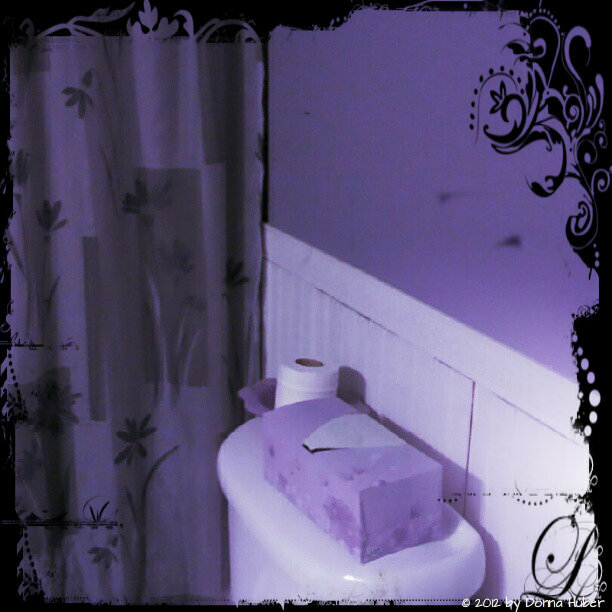 Today, you get my PURPLE bathroom. This was my first semi-large remodeling I did after I bought my house. I did the bead board myself. Not picture is the vanity/sink I replaced.